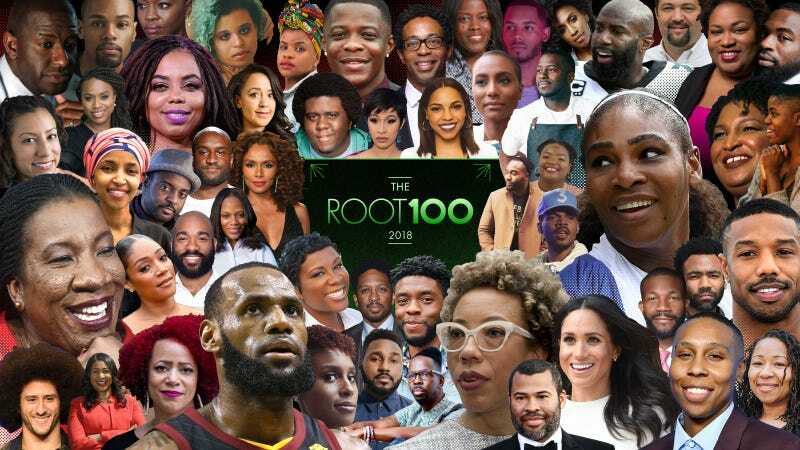 NEW YORK - SEPTEMBER 25, 2018 — The Root, the premier news, opinion and culture site for African-American influencers, has just today published their annual list, The Root 100. Every year for the past nine years, The Root has paid tribute to black innovators, leaders and change agents with The Root 100, a list of the most influential African Americans, ages 25 to 45, highlighting the work of the game changers who are making an impact in their communities and across all industries. This year’s interactive list includes esteemed honorees in seven different sectors — arts, community, business, entertainment, media, politics, sports and STEM — starting with activist and creator of the #MeToo movement Tarana Burke, and including Serena Williams, Kendrick Lamar, Jemele Hill and many more. See the full interactive list here. Check out The Root 100, our annual celebration of black excellence. The Root is the leading news, opinion and analysis destination for African-American influencers. The Root provides smart, timely coverage of breaking news, thought-provoking commentary and gives voice to a changing, more diverse America. Follow The Root on Twitter @TheRoot and on Facebook. The Root is a part of Gizmodo Media Group.